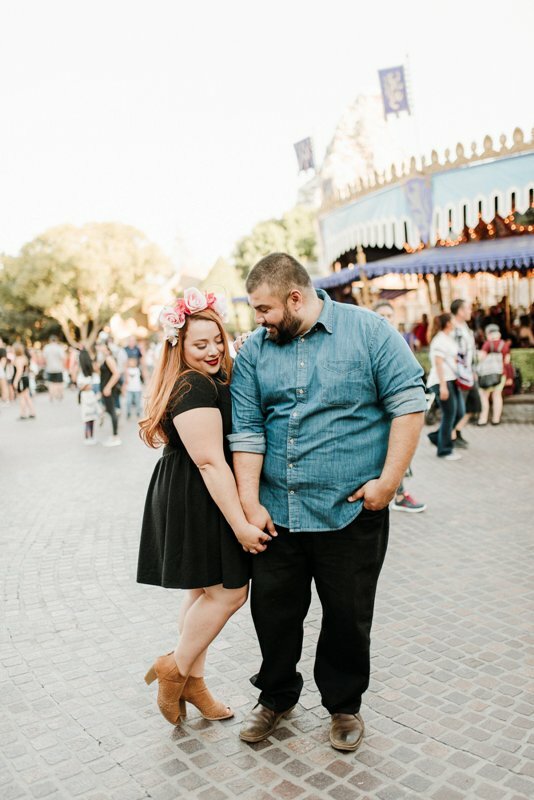 It’s not often I get anniversary Disneyland photo shoot submissions, but I certainly swoon big time when I do! 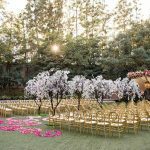 I love to see these little glimpses into the “after” part of Happily Ever After. 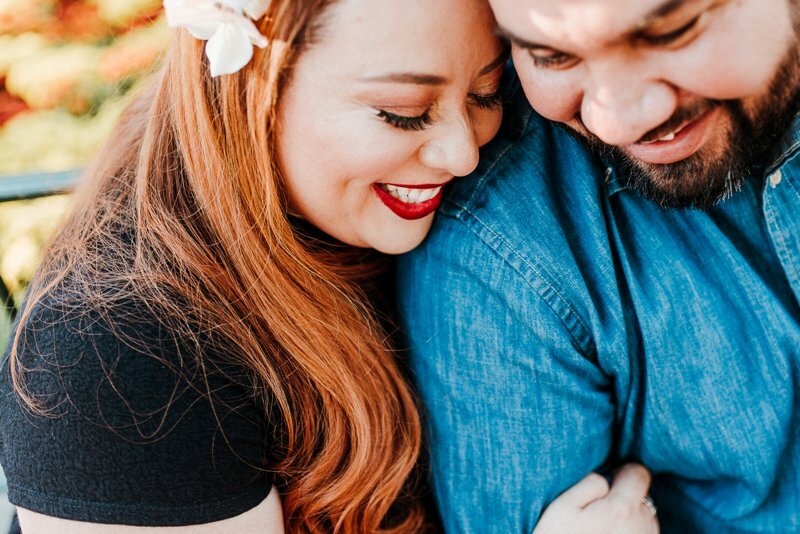 Alex and Claudia seem like a really sweet and fun couple so I’m thrilled their photographer XO and Fetti submitted their love story to be featured here. 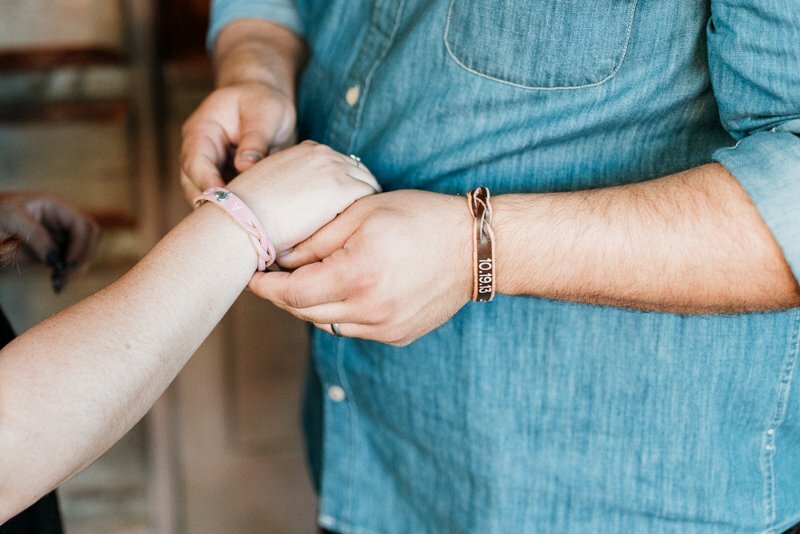 And can I just say, I love that they incorporated one of my favorite Disney Park souvenirs into their shoot – the leather bracelets in Frontierland! 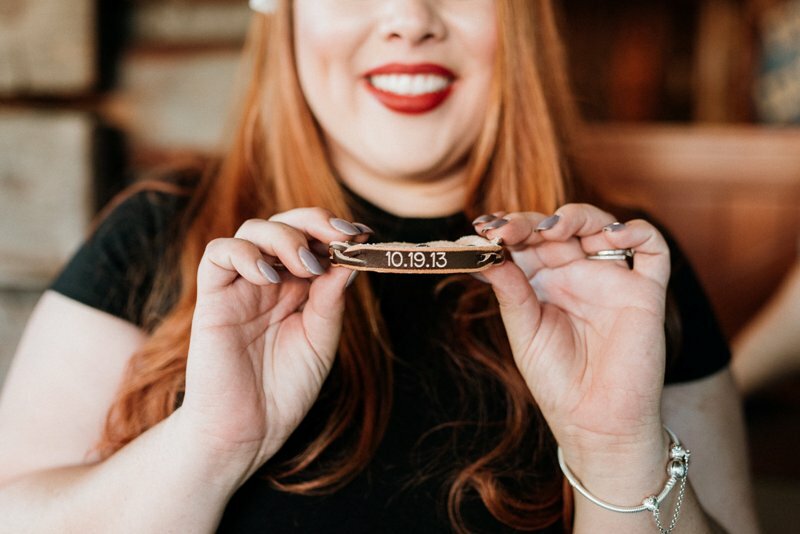 They make the cutest accessories and I love that you can get them personalized. From Claudia: Alex and I grew up in the same church. I’ve practically known him all my life, but we had our own groups of friends because of a slight age difference. In fact, I was actually really good friends with his younger cousins! We always had a special friendship but as we got older, we couldn’t help but to fall in love. 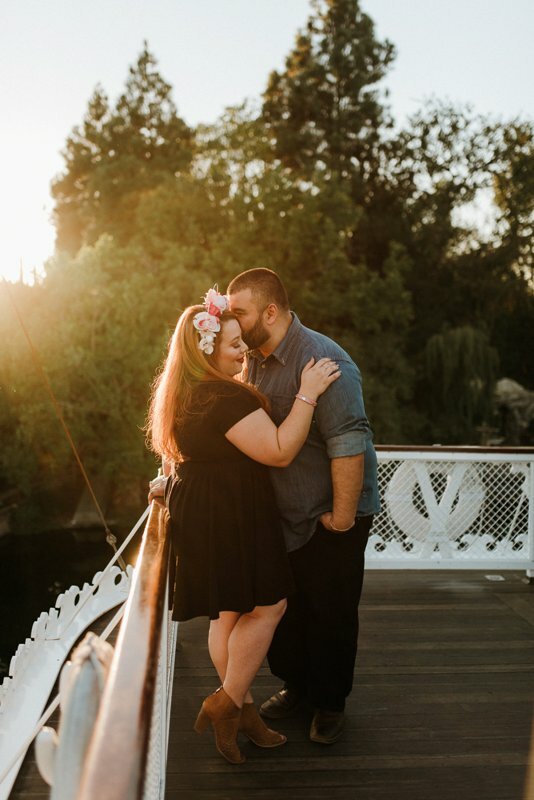 We started dating when I was about 20 and the rest is history! Disney is definitely part of both of our childhoods. 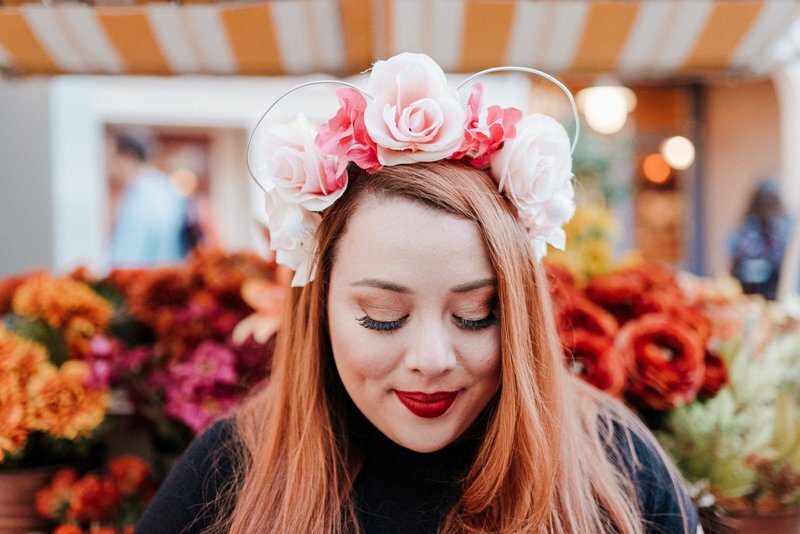 We grew up watching the movies and shows, admiring the characters (heroes and villains) and once in a while visiting the parks with our families. 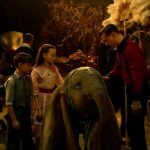 Some of our mutual favorite movies are The Lion King, The Jungle Book, and Beauty and the Beast. 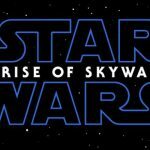 We LOVE the classics, but also really look forward to all the new stuff that comes out and make sure we watch them together and add them to our collection! 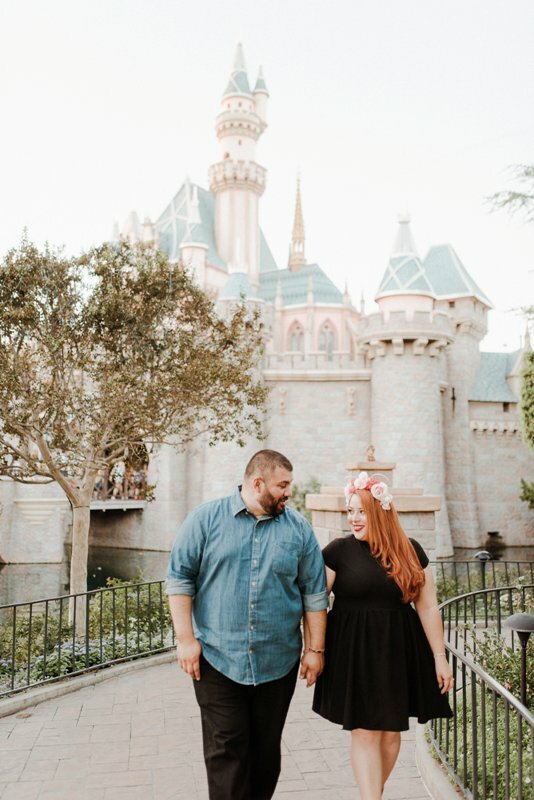 When we were dating we became Disneyland annual passholders and often went to Disneyland to relax after work or spend a Saturday afternoon in the parks. 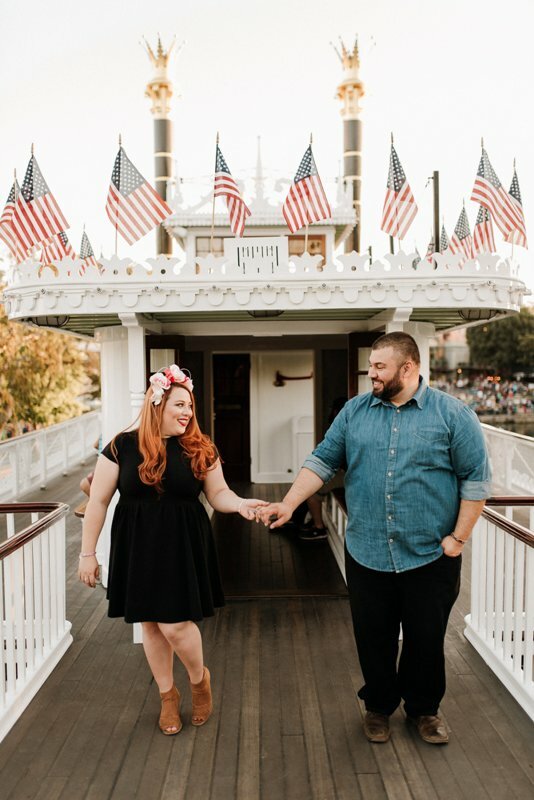 We LOVE Disney shows, so at Disneyland you will most likely find us waiting for a parade, watching “Great Moments with Mr. Lincoln,” singing along to “Mickey and the Magical Map” or saving a spot in front of the castle for the fireworks. 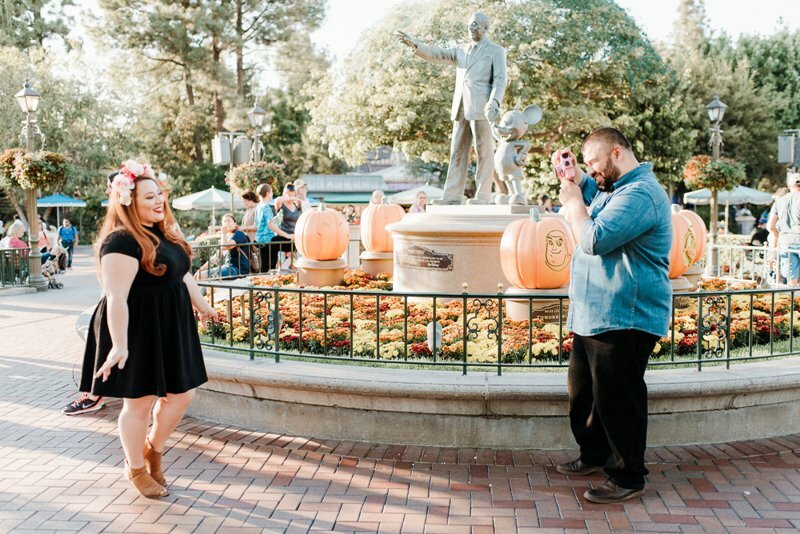 The biggest Disney detail is that Alex proposed at Disneyland! 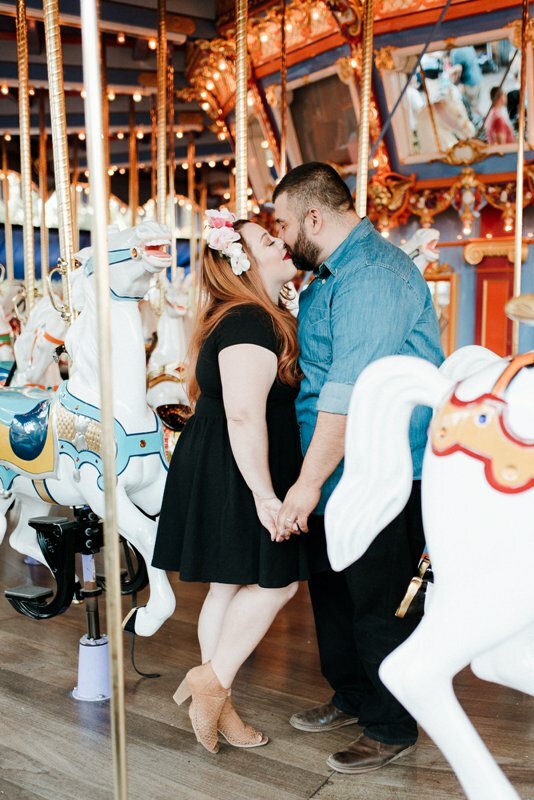 I always jokingly asked him to make sure whenever he proposed, that he do it at Disney. 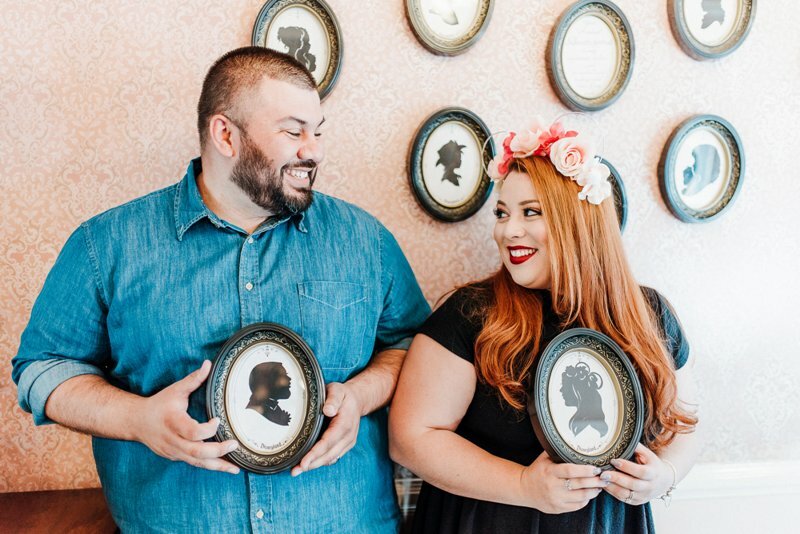 He always assured me he would not, but to my surprise on 12/11/11 he devised a plan where a Cast Member presented me with a book full of Disney pins that spelled out “Will you marry me!” We added just a few small Disney touches to our wedding, like some Disney props in our photobooth and we displayed some engagement pictures where I wore Minnie ears … and after our wedding, we took a two week “Disneymoon” to Walt Disney World and a Disney cruise! 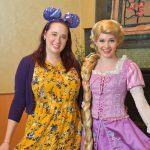 I like to celebrate milestones and special days, and it’s not uncommon that they involve Disney. 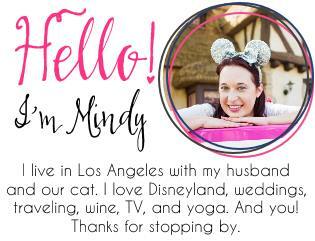 I’ve even been told things like “You’re spending your birthday at Disneyland, again? Go somewhere else!” but Disney is just it for me. 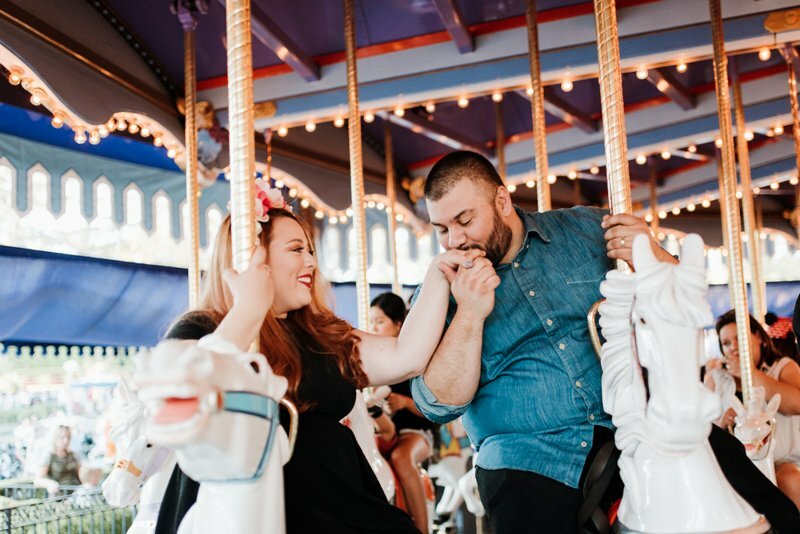 For our three year anniversary I wanted to document what a regular celebration at Disneyland would look like to us. 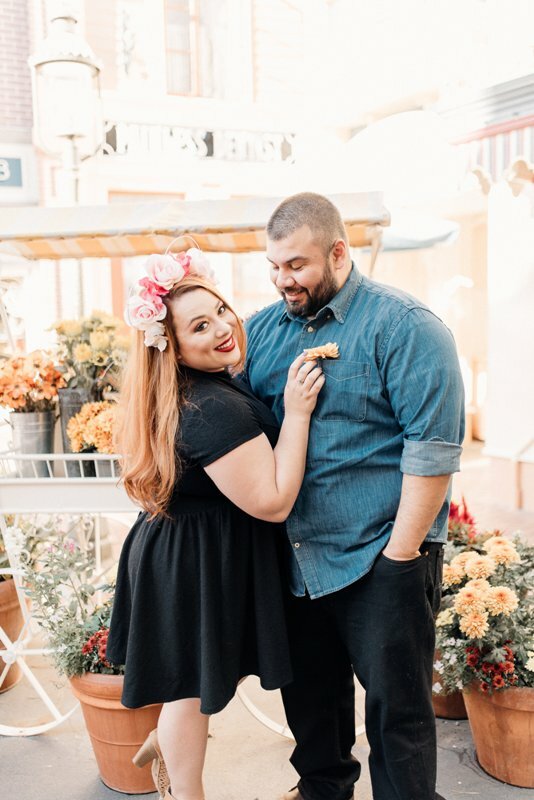 We love to dress up, wear cute accessories, eat lots of sweet treats, buy souvenirs and take pictures of each other (I am a photographer!). 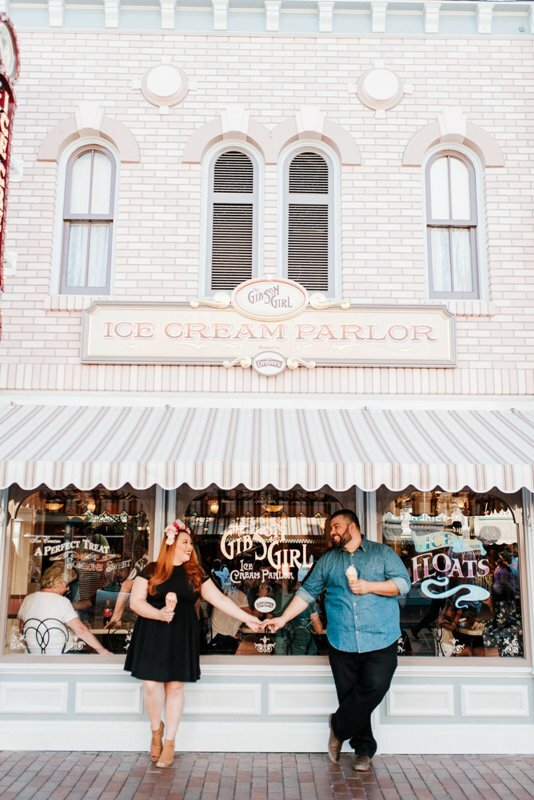 Taking these photos was really special to me because I’d like to one day show my kids what Disneyland dates were like for us. I’m sure when kids come along, Disney trips will look much different! 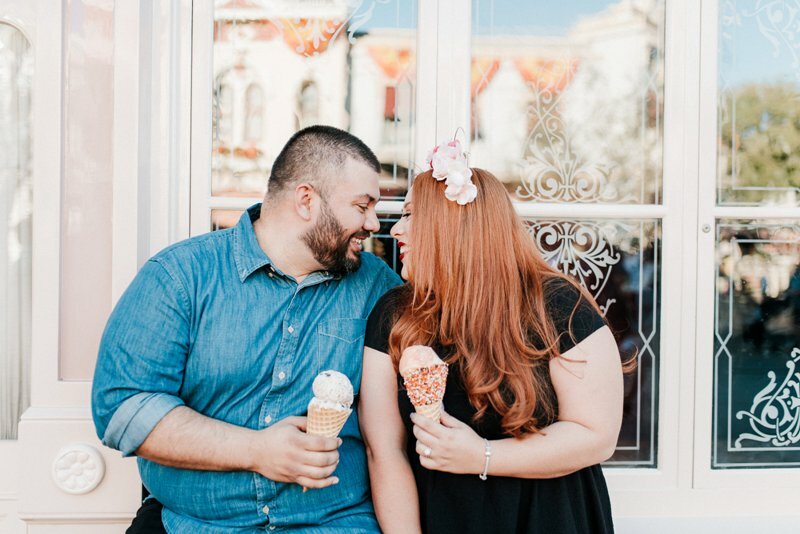 For more photos from this anniversary photo shoot at Disneyland, visit the XO and Fetti blog. 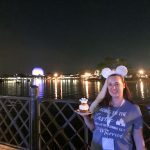 If you want to submit your Disney anniversary photos, please click here for the submission guidelines.